Brazilian taxi booking startup ResolveAÍ is one of the companies that are attending 21212 Demo Day later today. Having demoed last March during the first Demo Day, its founders will be present as alumni of the program. As a matter of fact, startups that completed 21212’s program still benefit from some of the accelerator’s services after their Demo Day pitch – networking of course, but also the opportunity to move into a dedicated shared office for an affordable rent. 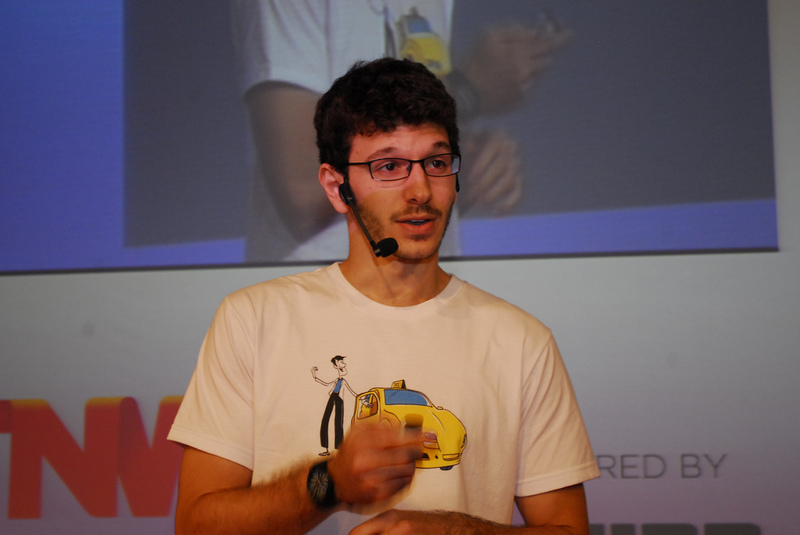 “It helped a lot,” ResolveAÍ’s CTO Rafael Kauffmann tells me. According to Kauffmann, the startup has kept on growing since then, and will reach the milestone of 80,000 downloads of its iPhone and Android apps by the end of the month. It currently lists 4,500 cars in 21 cities, and plans to reach 23 cities very soon. The company is also raising a series A round of $2.5 million USD, and there is no reason to think it won’t close it, as investors are increasingly interested in startups that are tackling transportation problems in Brazil. Earlier this month, ResolveAÍ’s competitor EasyTaxi received a $4.93 million USD investment (R$10m) from Rocket Internet.